Bremen is absolutely one of the best cities to visit in Germany. This city is a real fairy tales place, history and legends are making this place an unique scenario to visit. Spend here one day will be enough, the airport is so close to the city centre, that you can go in 24 hours from London to Bremen without miss nothing. Spend two days, 48h in Bremen will be the best idea to enjoy the city and take the best of the German tradition. Try the typical beers and threat yourselves with a classic Sausage. Do you believe you can fell in love with Bremen and its retro touch in just 24 hours? Yes, it is possible and we did something amazing, took two days off and running into our 6th Country in 6 months. We have been in Germany, one of the places where we have never been before, apart landed one time for a layover in Munich last summer. We didn’t believe was possible to fall in love with Bremen in just 24h. But it happened. We were looking just for a city not too big and with one hour distance from London. We had the pleasure to collaborate with the amazing tourism of Bremen. They arranged for us the best 24h hours possible, even if was on short notice. Check all the useful information about Germany, before travel to this amazing European Country. The city of Bremen is not too big, even the city centre is so tiny and cute with amazing landscape and awesome river long walk, where young and old people meet in the afternoon for a pint or two. Walking through the streets of Bremen you can understand one thing soon, it is so clean, no rubbish on the sidewalk and less car than other cities. There are too many pedestrians square and streets with a lot of bars with outside sitting area for enjoying the amazing weather. The main square is rich in history and beautiful spots, just at the back of the Town Hall, there is the symbol of this city. The statue coming from the tales of Grimm’s Brothers. There is a legend behind this statue. 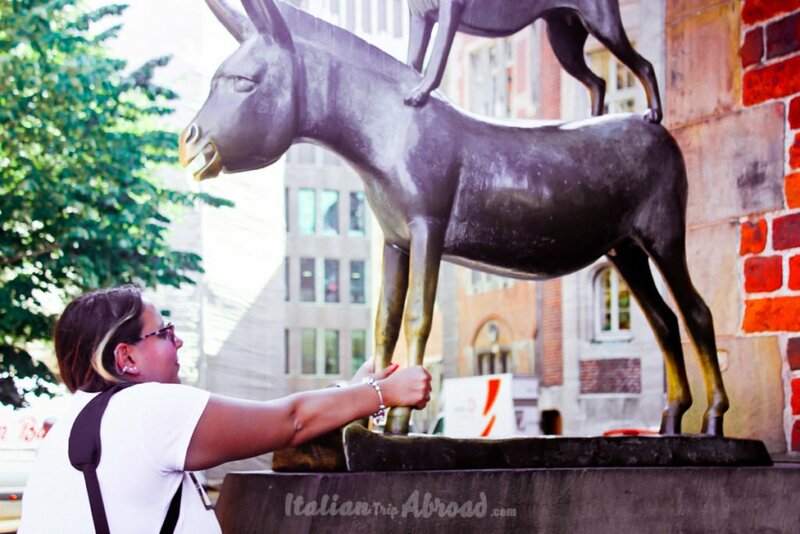 If you touch the leg of the donkey and make a wish, could be it happen (That’s why the leg of the statue are so shiny). The Town Hall is beautiful and inside is full of amazing details almost all made of wood, even the stairs, and the statue. Our guide, Sonja, show us the interior of the Town Hall explain all the history and all the details and the secrets behind in a fascinating story. Just follow the main way, going through the main square “the Marktplatz” from the Cathedral, coming from the Notre Dame, but with small differences in style, you can find the main shopping way. It is full of shops and even a couple of shopping centre. There is one we suggest to visit because is almost like an open commercial centre. You can find the best of Bremen in its long walk themes. It is the “meeting point” of locals. 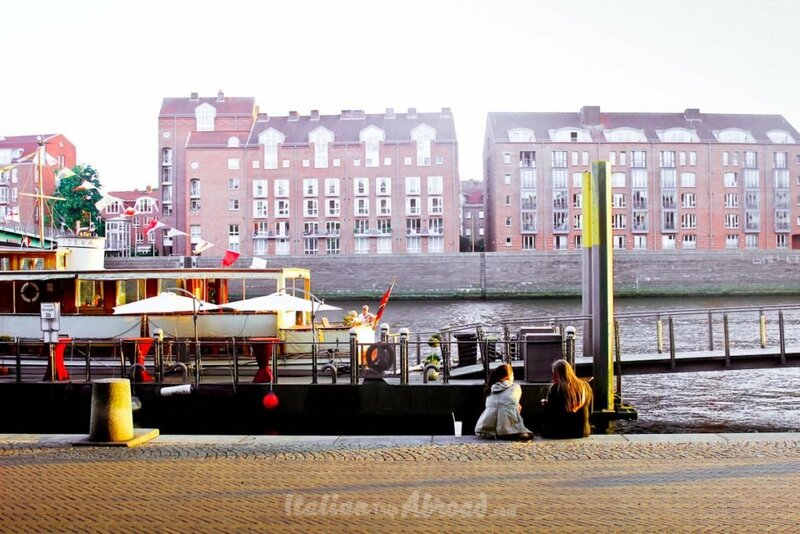 On the riverside, you can find a lot of restaurants and beer pub, one of the most famous and crowded is the Paulaner one, you can choose to seat out, with the river at your side or inside the pub. Outside you can order your bun with sausage and vegetables and a delicious beer. You will get a coin in exchange for your bottle or glass. The coin will cost you 1 euro and you can get it back when you give back the glass or bottle, obviously empty. The cost for a pint of beer is relatively cheap, just 3,50 euro, but please, you are in Germany, it is not Bavaria but is beer addict and the taste is unique. The most popular beer is the Becks, it is the Bremen beer, the brewery is located here, just 10 minutes away from the centre. On the river side of the Weider, there is the Casino of Bremen, if you feel lucky. If you want to relax on the water, you can have an aperitif on the vessels. It is a properly vessels, completely refurbished, on the rooftop, there are a restaurant and bar, under it is a hotel. The price is not that high for an exclusive night on an old vessel. There are a lot of Hotels, Hostels and Air Bnb on the boats. Yes, even hostels and this business are growing fast with more opening every year. Check the list of the boat trip and hotels in Bremen. The city is known as one of the most unusual and friendly cities in Germany. It is known for the fairytale. Do you know about the history of the musicians of Bremen of the Grimms Brothers? It is really nice, and if you are planning to go to Bremen you need really to know it. Bremen is really a nice place to visit, even if you need to plan it quickly and go there just for 24 hours, day trip or a two days trip. It is a really relaxed place and you will never feel to be in one of the best city in Germany, you will feel the calm of a small town with the comfort and the real life of a metropolis. It is quiet and calm, the people are relaxed, no stress at all, all the transport are on time and tidy. The streets are nice and really clean. Everything will make you feel to be in a fairytale. Go and visit it. Bremen is a friendly city, nice to walk in. Most of the street are traffic free, also because are really narrow to drive in. It is nice to walk through the park of Bremen, with a beautiful natural scenario. We really suggest you to walk from the city centre toward the Wind Mill, cross one of the bridge on the river and breath the fresh air. 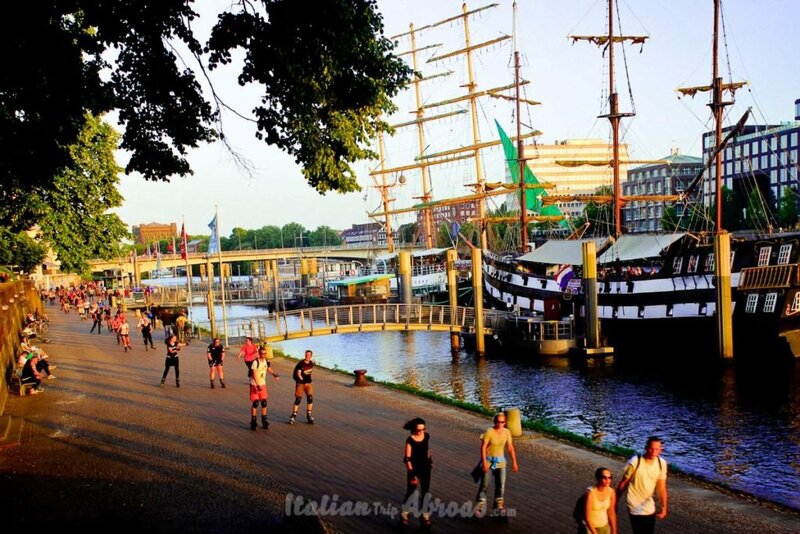 As all the great city, even in Bremen there are a lot of choice for Bremen sightseeing Tours, there is one we highly suggest, The alkable city, it is the Hanseatic Bremen. 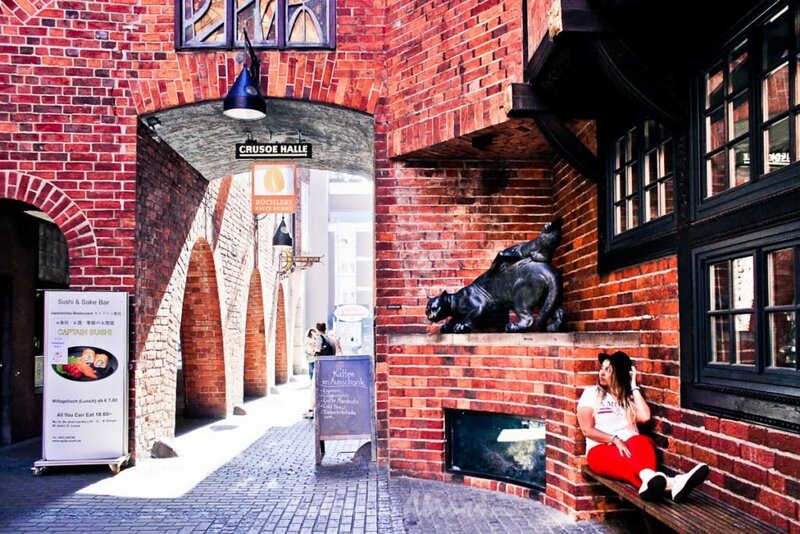 It is one of the most famous free walking tour of Bremen. 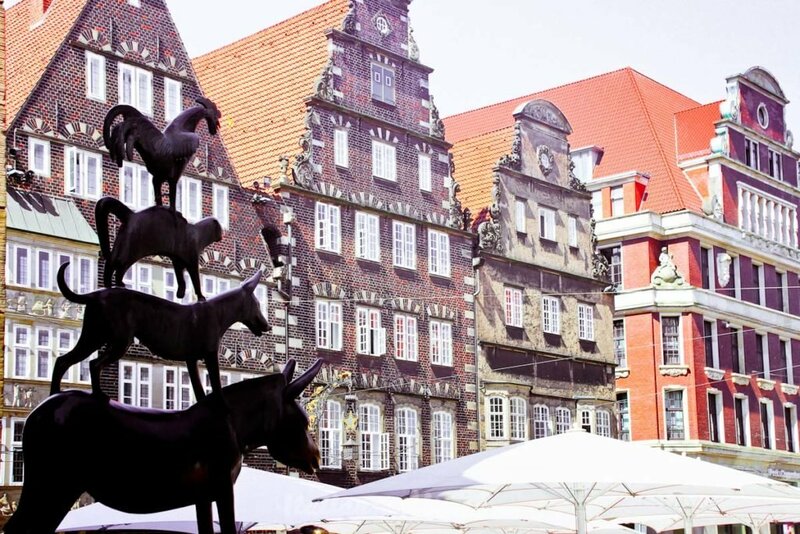 This Bremen Sightseeing Tour will start at the main Square, the Bremen Marktplatz or Market Square. Due this tour is always fully booked, try to book it in advance or stay at the meeting point prior the tour will start, so if there is any no-show, you will be in. 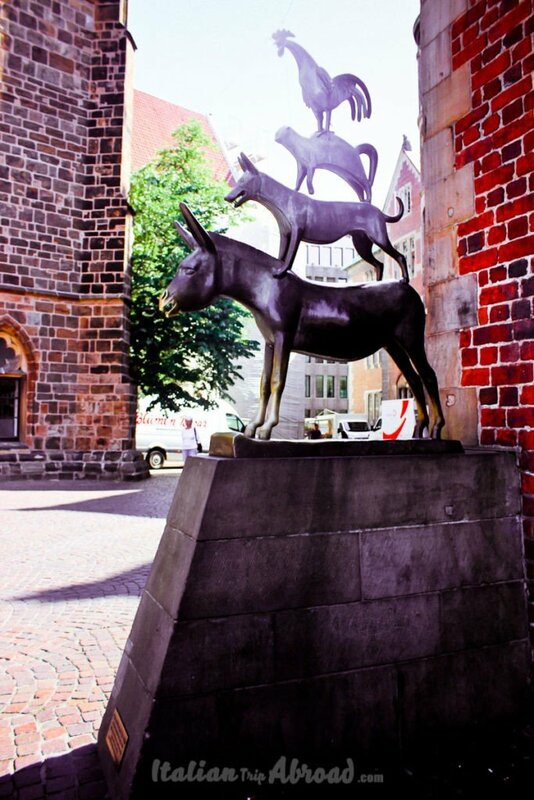 In order to do a proper self-guided Bremen Sightseeing Tour, we will go forward with another blog post. Now we will focus on the best places to visit in Bremen for a proper tour. June roundup . Six countries in six months. We are happy travelling. Great post of Bremen in 24 hours. I think it would be really cool to stay in a hostel on a boat. What a great idea. The houses and buildings look like something from a fairy tale. I would love to visit! Wow, what a lovely place to visit!! Looks so cute and historical! I love it. Truthfully I had no idea it existed, but I would definitely add to my itinerary if I ever get to Germany! I’ve never heard of Bremen before, but it looks like a lovely place to visit – clean, quirky and cute. Your amazing pictures perfectly justify the tranquil beauty of the place. You need to go. It is really unexpected awesome. I spent about 24 hours there with my wife last year and we had such a lovely time. We found several delicious restaurants, walked around a bunch and really enjoyed the Schnoor Viertle. Thanks for this great reminder of this fantastic city! We can’t wait to head back there. Schnoor is really a little gem of Bremen, we loved those small and tiny streets and the cafès. I have heard of this city but never considered it as a destination, now you make me want to go. Love the pics and looks so magical and welcoming. Thanks for your comment. Bremen is really nice, we spent just 24h and we loved it. Bremen really looks like a fairytale town in Germany. I never knew about this place before reading your blog, but those typical German houses are very appealing. I loved the meeting point of locals besides river as it looks very lively. Bremen is really really nice, if you have time even for a weekend or just two days in the middle of the week it is a really good city break.